Knowledge is the key to success in trading. We like to invite experienced traders to share their key tips with you. By learning from these traders’ experiences, you can increase your arsenal of techniques and approaches. Below, we have provided videos, each accompanied by a summary recounting the key insights contained within. Kevin Toch is a market microstructure specialist and international consultant with 17 years of experience in quantitative trading strategies. He has consulted with international giants like Barclays, Ikos etc. His webinar delivered actionable insight on achieving trading success. Beginning his session with the basics on reading DOM (Depth of Market), and learning to differentiate between actual and pretend orders. Toch also elaborated on making informed decisions using the data delivered by Yellow Tape and Price Ladder. Explaining Spend and Movement Strategies. Kevin states that a stable market moving in just one direction is probably being manipulated by an aggressive market maker. Going on to define strategies based on Inter-market Relationships, Toch encourages traders to look for meaningful correlations within the market, avoiding the ones that seem too good to be true. He suggests sticking to average correlation factors and adopting a leader-follower type of strategy. Kevin recognizes that the market is controlled by a few major companies, who are able to cause shifts in the market as and when needed. He encourages traders to build their strategies along the same lines, and to refrain from making decisions when the market seems to be out of balance. This helps to avoid losing revenue in a manipulated market. He recommends paying attention to the size of the orders, being made by other traders and firms as it can be the difference between making it and breaking it. Kevin advises beginners to spend their time understanding evolving markets. Along with movies like Floored that cover market changes and adaptation, Toch recommends using Bookmap to assist in adaptation challenges. He also impresses upon the importance of quick action, pointing out that most displayed liquidities are fake, making it necessary to remove limit orders as fast as possible. Using CME and AMF as examples, Toch explains how 5 major firms are responsible for 80% of limit orders. Toch explains the difference between DOM and TAPE: TAPE offers a look in to past and present activity, while DOM helps you anticipate the future. Countless traders have made the move from TAPE to DOM because DOM offers most, if not all the advantages of TAPE, and then some. Kevin explains why he prefers Bookmap over all other tools, elaborating on the differences between DOM and Bookmap. Bookmap offers a 360 overview, providing full transparency into the market, as opposed to DOM’s limited anticipation of the future. Bookmap visualizes strategies and market manipulations, making it easier to track block trades. Explaining his methods, Kevin discusses why he prefers to use Iceberg Cutter and Large Lot Tracker over other features like the Imbalance Indicator. 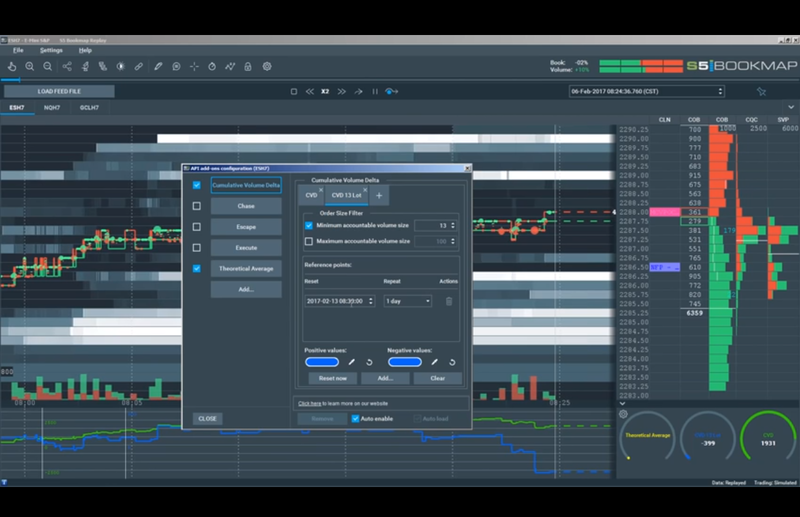 Iceberg Cutter helps identify hidden liquidity in the order book, while Large Lot Tracker determines if one single player is responsible for more than 50% of a lot’s size. Identifying such market manipulation early on helps to avoid getting mixed up in market ploys. The Imbalance Indicator doesn’t offer as much information, only updating the user on the order imbalance on the opening and closing of the markets. Bookmap helps to simplify the process because it helps traders scale-in effectively, while keeping track of multiple orders using the heatmap. Bookmap allows you to trade in multiples with minimal risk. Keep an eye on all the markets, all the time. Watching them day after day will allow you to note the trends. At any given time, you may have future contracts as leaders or as followers. Be cautious with thin liquidity contracts as you need less money to move them. A good strategy won’t work if you do not evolve with changing markets; use Bookmap to identify hidden features and changes in the market. Devise your strategy according to your profile but always try to trade in multiples. Trading in one lot only leaves you a 50% chance of success. Start with liquidity cluster zones and try to trade smaller sized contracts so you can trade in multiples. Use limit orders and Bookmap for the best outcome! Daniel Skalak started out as a waiter at an upscale Manhattan restaurant. Today, he is an E-mini S&P 500 Futures discretionary trader who has been trading for the past 6 years, with the last 2 spent as a full-time trader. A partisan of FT71, he uses market auction theory and volume profiling to trade effectively. He applies Stage 5 Trading techniques and makes use of Investor R/T, trading directly on Bookmap’s order flow software. Skalak believes that traders go through five stages of development. Ask yourself, which stage are you at right now? Emphasizing the importance of keystone habits and good lifestyle choices, Daniel explains how mindful behavior helps you develop and focus on a better trading routine. 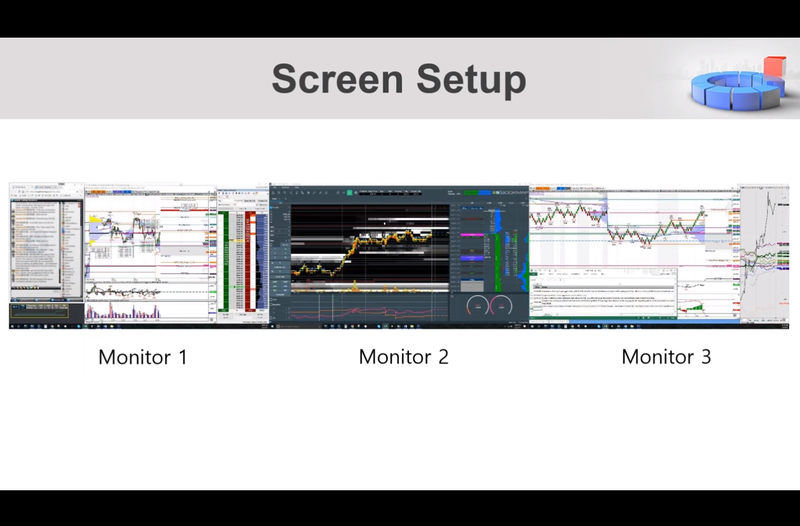 For daily trading, you should keep your long term goals in mind, as well as organize your screens to have all your information laid out in front of you at all times. Go through how well you opened. Note where the overnight high-low and point of control are. Check the shape of the volume profile. Check whether the high or low appear weak with a sharp kurtosis to the histogram. Check the overnight volume relative to the time. Use all the information to create hypotheses for the upcoming trading day. You should always set your heatmap at a higher contrast to increase visibility and make use of the Stage 5 Historical Trade Analyzer. It is also recommended that Bookmap settings, like dot size and display, be adjusted over the trading day depending on the amount of trading activity in the market. There can’t be enough emphasis on how important it is to conduct a thorough, weekly review of your trading activity – all the data gathered through reviewing helps you assess your overall standing. You should be wise about your dealings, and know when to opt out, based on your risk analysis. Keep an eye out for fake liquidity, in order to avoid falling for the ploys of market manipulators. Daniel uses Investor R/T for volume profiling. He recommends perusing your daily and overnight charts for actionable data, while also looking into R/T’s Renko and cash indices charts. Surprisingly enough, Daniel uses Microsoft Office for his statistical data and homework. Ultimately Daniel’s advice is not to worry about the size of an account – as long as you trade using the right techniques, you will turn a profit. It is better to minimize risk than maximizing rewards, so focus on trading in the market and not your P&L. Scale in and out properly, and understand that each trade is part of a larger data set. Follow a routine, develop keystone habits and practice deliberately. Always strive to learn more by reading books, watching training videos and asking questions on forums like the S5 chat and AMA’s. Minimize emotional input and learn to trust your inner trade guru. Always challenge yourself and strive to get out of your comfort zones. Trading for over 16 years, Morad Askar aka FT71 started out as a high-volume equities trader, subsequently transferring to Futures around 14 years ago. He had his own shop until 2010 when he decided to work towards helping online traders. He helped develop a prop trading approach for online traders at Stage 5 Trading Corp. 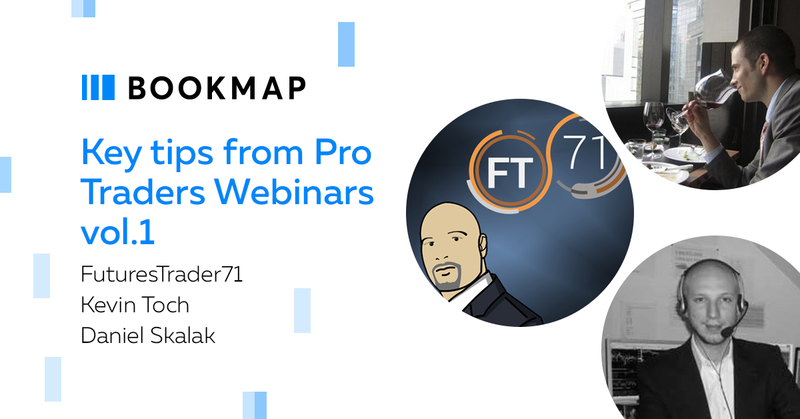 In this webinar Askar talks about how to integrate Bookmap and Order Flow into trading methodologies, while demonstrating how a scalper campaigns around a position. Morad emphasizes on the importance of trading around positions to improve your average. Ultimately, this webinar aims to introduce and instruct traders on the use of the Theoretical Average. He begins with Cloud notes and how they can help you keep track of the bigger picture. Askar also touches on using order book depths in the form of numbers, histograms, encouraging to seek out quotes in the chart depth and consider the volume to develop a profile. Morad then introduces the webinar participants to the Theoretical Average (TA) – the first custom indicator of its kind and a product of Bookmap’s new API. Vastly different from a Platform Average, the TA is an extremely useful resource, helping users manage risk and understand where they stand versus where the market is with any given trade. The Theoretical Average assists traders during the trading day, displaying how much money was made by showing the difference between where you entered and where the Theoretical Average ended up at. A high TA means you don’t need to worry about losing money. The CVD (Cumulative Volume Delta) maintains a sum total of what has traded on the offer, and allows you to closely monitor the actions of the aggressor in the market. A negative CVD indicates that the sellers are dominating the action in the market. Demonstrating how to manage filters, Morad advises his audience to set their CVD to 13 lots minimum, explaining why this magic number is the second standard deviation size traded in EES. It is crucial to understand the importance of Auction Theory and use Volume Profiling. Auction Theory is an analysis of human behavior in auction markets, while Volume Profiling charts out trading activity at specific price levels over a certain period of time. This knowledge helps establish what the context is and what the market has done, allowing traders to create multiple plans for what the market might do that day. Make use of the Theoretical Average to control your trading position and manage your risk once a sale has been made. When the market pushes up and the gray bars turn to white, it is an indication that the market is moving towards fast-approaching liquidity. If the opposite happens, it’s an indication of likely manipulation by market makers. Askar explains that collisions occur when the market trades size against sizeable offers. You should look for liquidity that increases as time goes by and stays firm at a point to create a collision. Traders are advised to keep dot settings small so nothing on the chart is hidden behind them. Keep an eye out for collision dots and always check the size of the dots when they collide against the white bars – a bigger dot size here in this case, means something, so watch it closely. Consolidation means balance and this balance allows traders to break out strong (break upside or downside). Pay close attention if you find consolidations at the last hour of trading; this suggests that something is likely to happen. Morad sets up a scenario, where small lots are positive and large lots are negative, with the market pushing, following the small lots. This creates an excellent opportunity to go with large lots and sell at profit. You should define and manage your risks clearly, while using hard stops. Heatmaps like Bookmap are an extremely useful tool, helping to bolster your trading game, while indicators like the Theoretical Average allow you to conduct trades easily. Always look to campaign around the good positions. Try and increase your average by continuing to campaign against logical areas. Learn to avoid the noise through the day. When you start seeing higher lows, it is time to think about exiting. See all records on event page.